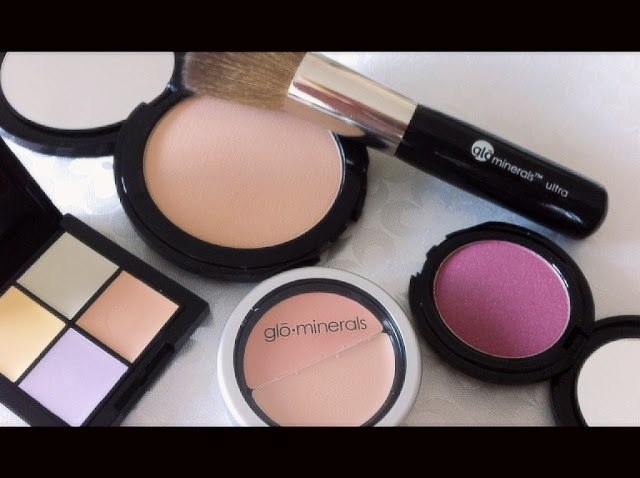 I recently got the opportunity to try a new makeup brand called Glo Minerals. 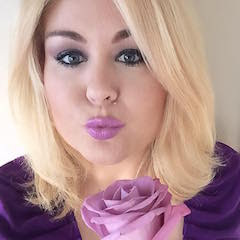 This modern mineral makeup company offers prestige and professional quality cosmetics from foundations to blush, eyes and lips to brushes. Glo Minerals hero product is their best selling foundation base. This multi-tasker is a pressed powder and mineral foundation in one. It gives your skin a beautiful airbrushed finish. 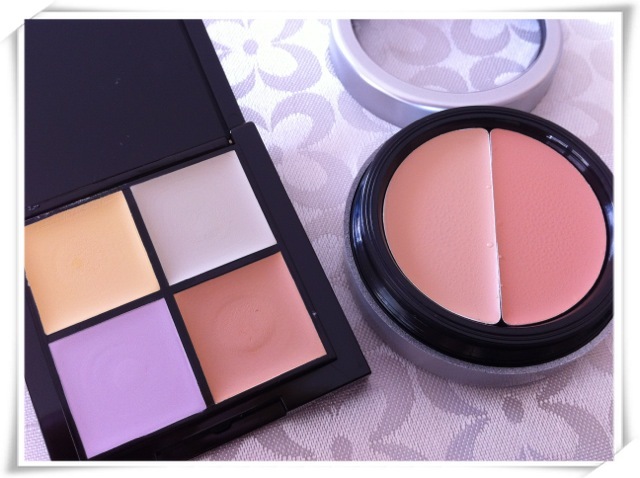 The powder is soft, light, very natural looking and feels really lovely on the skin. This finely pressed mineral-powder can deliver coverage from sheer to full, depending on the application. It gives a matte coverage, which means there is not sheen or shine on the face. SPF15. Fine, triple milled minerals lay smooth on the skin. Suitable for all skin types. This foundation provides a sheer to full coverage with a semi-matte finish. Black compact with mirror and round sponge. 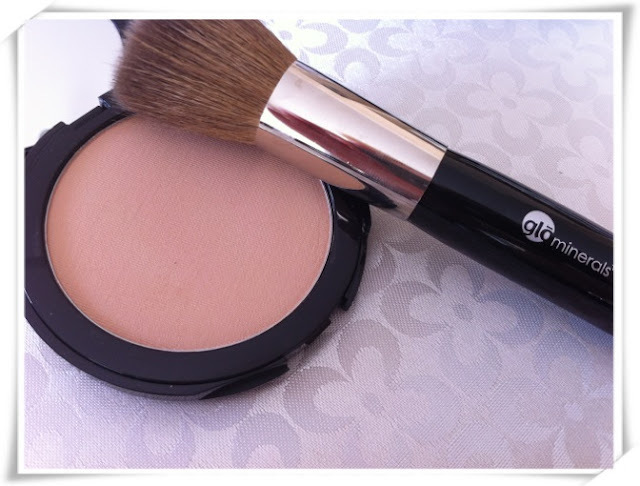 For maximum results the Pressed Base is best applied with Glo Minerals Ultra Brush. This large flat top powder brush has very soft bristles which makes application quick and flawless! Glominerals signature brush, engineered exclusively for use with gloPressed and gloLoose base. Dense ultra-soft hair offers a seamless all-over medium to full base application. Once your pressed base is applied you can set your makeup with the Hydration Mist. Adding this extra set after foundation really gives your skin a more dewy and refreshed look which avoids that heavy matte powdered finish. A blend of antioxidants and anti-aging benefits in a mist that hydrates instantly. Spritz the skin before or after makeup application and to refresh the skin throughout the day. Use when skin feels dry, when exposed to dry climate conditions or when skin needs an instant burst of hydration. Spritz for instant antioxidant enriched hydration, to refresh skin throughout the day or just after mineral base application. Enjoy this exclusive formulation when skin feels dry, when exposed to dry climate conditions or when skin needs an instant burst of hydration. To conceal and correct blemishes, uneven skintones, redness, pigmentation and dark under eye circles - Glo Minerals has a great selection of professional quality concealers. My favourite concealer is their under-eye concealer. The lightweight creamy texture is very pigmented and doesn't crease! Glo Minerals Under-Eye Concealer offers rich pigments to conceal and clinically advanced treatment ingredients to help improve dark circles and hyperpigmentation. This product contains two colour tones, enabling you to customise the perfect colour match to your skin tone. Its creamy formulation is designed for the sensitive under-eye area, allowing coverage without caking. The moisturizing formulation ideal for under eye area. Apply Concealer to under-eye area gently. Use regularly to help cover and improve the appearance of under eye circles. Also ideal for highlighting the eye area. A sheer, easy-to-apply formula that expertly neutralizes and conceals skin discolourations. It is best worn under glo.minerals foundations. Select the appropriate shade of camouflage (use the guide enclosed with the kit for tips!) then stipple product onto desired area. 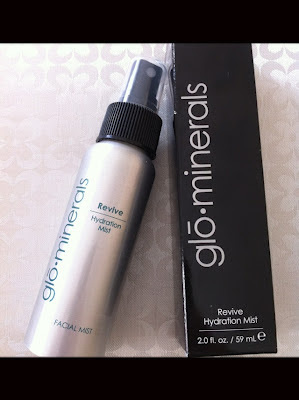 Follow application with glo.minerals base and colour for beautiful, flawless skin. The Camouflage Kit is great, especially for my professional makeup kit - working with lots of different skin tones I always need good colour corrective concealers that stay put! This compact little kit is perfect for travel and comes with a mini booklet which explains which coloured concealer is used to conceal different skin problems. Looking for a gorgeous berry blush this winter, well this gorgeous Glo Minerals powder cheek stain is perfect for that sweet rosy glow! The Powder Cheek Stain has the vibrant long-lasting color of a stain to keep cheeks flushed with a rosy tone all day and the easy application of a powder blush. 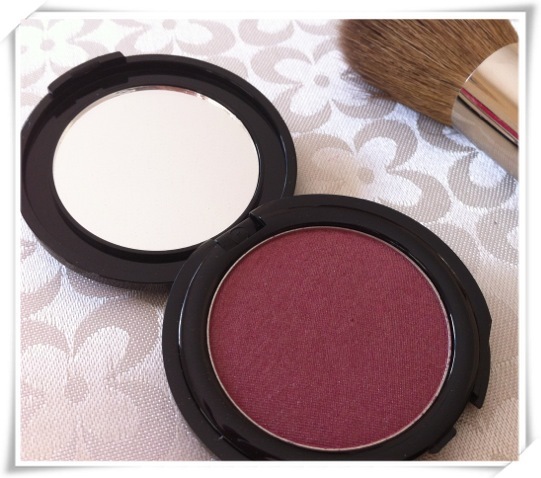 Finally, a blush that has the best of both worlds! Apply a pop of color on the apples of the cheeks with the Texture Brush or use the Blush Brush to pull color toward temples and blend. Swim and sweat resistant, apply before going on a swim or to the gym. Perfectly complements a bronzed complexion.